Welcome home to this beautiful, move in ready 2 bed 1 bath charmer. Whether you're a first time buyer or a seasoned investor, you can't go wrong with this home. 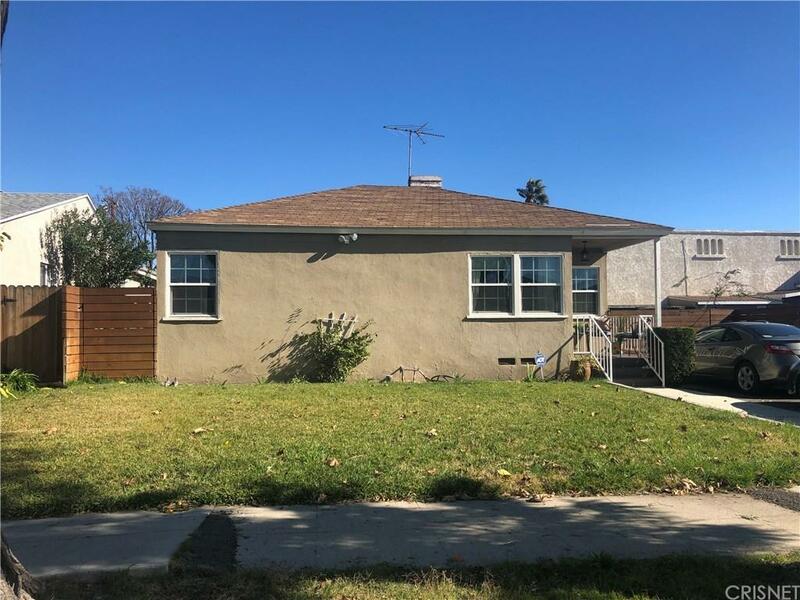 Filled with charm and character you will find original hardwood floors, completely redone kitchen with quartz countertops, gas fireplace, remodeled bath, a large yard with plenty of room to run around or expand. There is also plenty of off street parking and a 2 car detached garage. If you need to get over the hill or fly away, getting where you need to go is easy as this home is ideally located close to the 134, 170, & 101 freeways as well as the Burbank Airport. Located just minutes away from the heart of the media capital of the world with close proximity to Burbank Studios, Disney, Warner Brothers, NBC, Universal Studios & the No Ho Arts District. Entertainment, transportation, shopping & dining are nearby. Priced to sell fast, this home will not last & an opportunity not to be missed!